Orange lipstick is everywhere. From the runaways to celebs - everyone is sporting the peppy uplifting hue. Playful yet glamorous, Orange is a universally flattering shade which looks gorgeous on everyone skin tone. From pale to tan to dark can sport this punchy tone. Before you claim the shocking shade wont suit you, take a moment to consider the right shade for you. Play around with yellower bases or red bases, try a bluer orange if your on the pale side. Try something peachier if your worried about going full on neon. It all depends on your skin tone and finding the right orange for you. My pick would definitely be Topshop Hedonist. 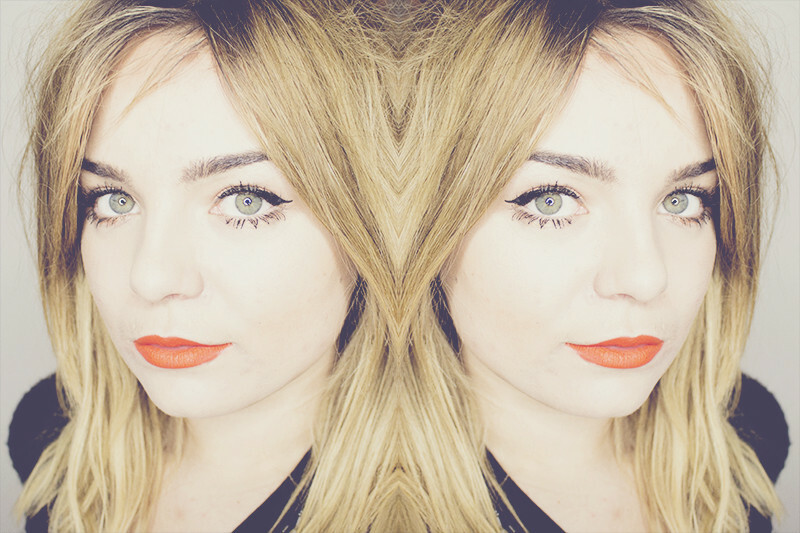 A matte orange which is a greta all year rounder, bright enough for a big pop on the lips but easy enough to wear for everyday! Are you ready to tackle the orange trend?